DO YOU QUALIFY FOR SOCIAL SECURITY DISABILITY INSURANCE IN ARKANSAS? Medical conditions and chronic injuries leave thousands of Arkansans wondering how they’ll pay their bills. This financial hardship is partly caused by the high cost of ongoing treatment, expensive emergency services, or procedures that insurance will not cover. However, it goes beyond medical bills. Many people with chronic injuries or health conditions are unable to work full time, which limits their ability to hold a steady job and care for their families. If this describes you, you are not alone. You are also not without options. The Social Security Administration offers benefit programs specifically for people with ongoing medical conditions. If you’re approved for one of these programs, you’ll receive monthly assistance to help ease your financial stress. What benefit programs are available under Social Security? There are two disability programs under Social Security: Disability Insurance (SSDI) and Supplemental Social Income (SSI). The two programs have some distinct differences. SSDI is a benefit program for workers who have “paid into” the Social Security system for multiple years. They can receive benefits through the Social Security treasury when they are unable to work for an extended period of time due to a medical condition. The medical condition must be expected to last at least one year or result in death. SSI, on the other hand, is a needs-based program intended to help individuals with very low incomes who are either elderly, blind, or disabled. It’s funded by taxes. How can you know if you qualify for Social Security Disability Insurance? You are unable to work because of a medical condition. This condition is expected to last for at least one full year or result in death. Your previous application has not been denied in the last 60 days. Can I receive SSDI or SSI while working? To be approved for SSDI, you can’t earn above the threshold of what’s considered “substantial gainful activity” (SGA), which is $1,170 per month for 2017. The SGA is adjusted annually. If your monthly income without SSDI is more than $1,170, then you are not considered a disabled worker and will be denied SSDI benefits. Only work income is considered for SSDI; other income, like investments, are not included in the SGA limit. For SSI, there’s a limit of around $1500/month on all forms of income, both earned and unearned (investments, etc). This cap applies both when you’re in the process of applying for SSI and once you’ve been approved and begin receiving SSI. 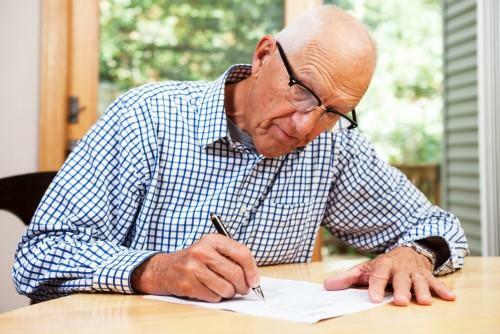 How can I begin the process of applying for SSDI? You can now submit an online application through the Social Security Administration website at https://www.ssa.gov/applyfordisability. You’ll want to begin by printing and review the Adult Disability Application Checklist to ensure you have all the needed information. Next, you’ll complete the Disability Benefit Application itself. This application is lengthy; it requires you to answer questions about yourself, your medical condition, and your work. Finally, you’ll need to submit a Medical Release Form. After receiving all of the required information, the Social Security Administration will send you an application confirmation. Then they’ll review the application, contact you if more information is needed, inform you if your family members are eligible to receive benefits on your record, process your application, and then mail you their decision. The process is lengthy and complex, so you can expect for it to take between 3-5 months if there are no complications. If you have questions about whether you qualify for either SSDI or SSI, or applied for Social Security benefits and have been denied, the lawyers at Taylor King Law are ready to help. With extensive experience working with insurance, the Social Security Administration, and other government members, our team can help you make sense of the complex process of applying for SSDI and ensure you get the benefits you deserve. You don’t have to walk this road alone; Taylor King will be On Your Side, By Your Side. Call today at 1-800-CAR-WRECK (800-227-9732) to begin your FREE consultation, or visit our website at https://www.taylorkinglaw.com/ .